The Moat House is one of Appleby's most significant historic buildings. Located in the centre of Appleby Magna, it is a well known local landmark, where its moat and grounds form the green heart of the village. The site was the location of the manor house occupied by the de Appleby family. 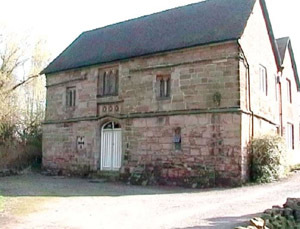 All that remains of the de Appleby's house is the gatehouse, which now forms the stone front part of the house. The gatehouse was extended with a timber construction after the de Appleby's sold the manor house in the 16th century, and a third extension in 1854 formed the house as it is today. From the 17th to the mid 20th century the house was let to tenant farmers until the 1960s when it was condemned as unfit for habitation. 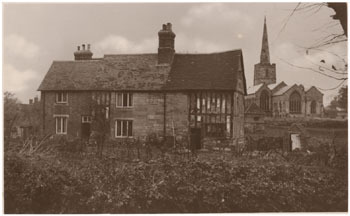 Henry and Margaret Hall purchased the house, by now in a poor state, and renovated the building and the moat. The house is now grade II* listed and the whole of the site is designated a Scheduled Ancient Monument. There is a story that in 1935 some Americans attempted to buy the house and transport it to the United States - a scheme thwarted by local historians. This was reported in the Leicester Advertiser (June 25 1976, Robert Serafini). 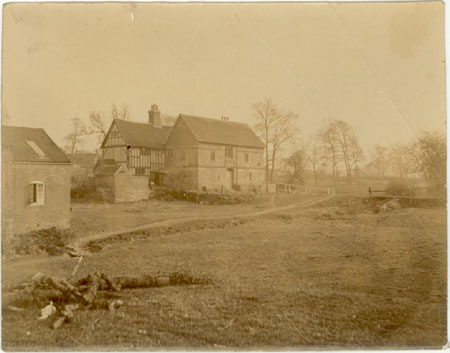 The next two pictures are believed to be the oldest photographs known of the Moat House, taken by the grandfather of Clive Bradbury of Cambridge. Clive came upon these pictures while sorting through old photographs and tracked down the current owners of the Moat House through their web site. 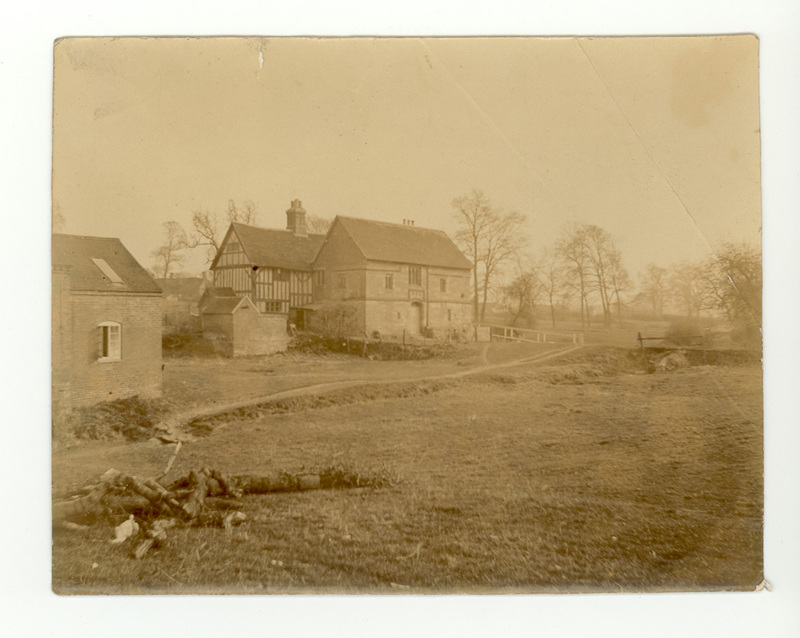 On the back of each picture is written 'Moat House, Appleby Magna, circa 1897/98'. 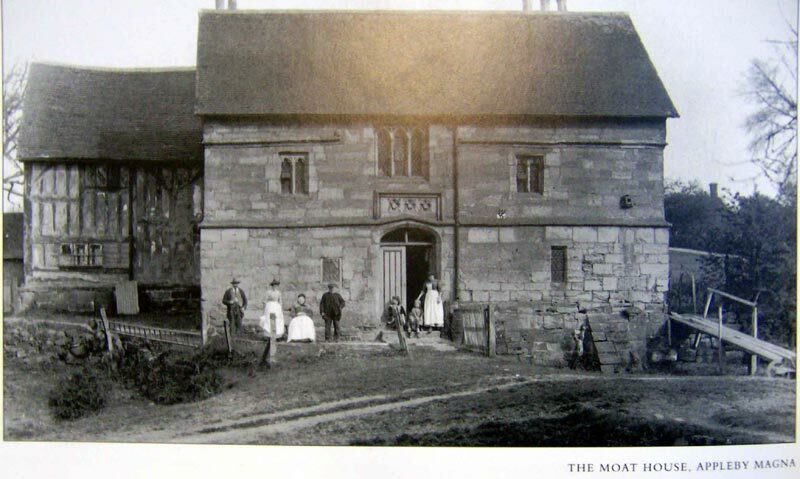 This was a lady of great character and fortitude, who lived with her husband, George de Appleby at the Moat House. They were protestants. George left her in order to take part in the battle of Musselborough Field and was slain in Scotland. Joyce had been 'delicately brought up in the pleasures of the world'. There were four children. Left a widow, she accepted the hand in marriage of Thomas Lewis of Mancetter near Atherstone. He was a Roman Catholic. At that time, people were expected as a matter of course to adhere to the Roman Catholic religion, that being the religion of the reigning queen, Queen Mary 1st (1553 to 1558). Joyce's husband tried to persuade her to keep to the customs of his church, but this she refused to do. 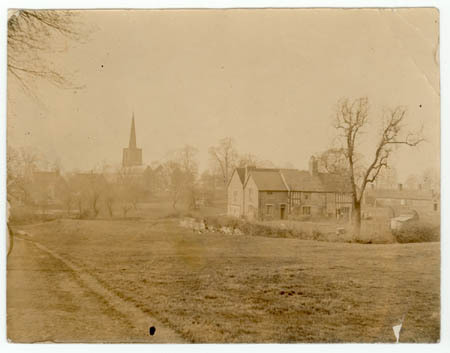 She became friendly with the Glover family in Mancetter, substantial people like themselves, who were also protestant. Thomas Lewis warned Joyce continually and eventually refused to have anything to do with her. She was arrested by order of the Bishop of Coventry, imprisoned in dreadful conditions and then transferred to Lichfield where she was burned at the stake in the market place. The other protestant family, the Glovers, were ordered to be arrested also but managed to escape, except for one. He was caught and put to death in the same way outside Coventry Cathedral. Mr Lewis' mansion in Mancetter, where Joyce lived, still stands. It is now a hotel and restaurant, and is furnished still in the Tudor style. In Mancetter church hangs a painting of Joyce de Appleby. Reference: Nichols' History of Leicestershire, 1811.